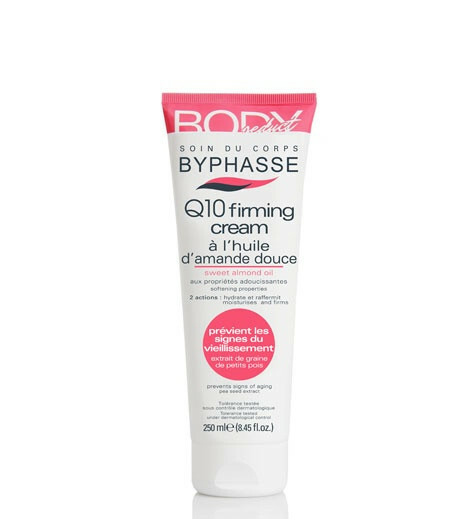 BYPHASSE Body seduct Q10 firming cream . For an infinitely seductive body, discover the Body Seduct slimming line that helps tone and maintain your skin?s youth. The BYPHASSE Q10 firming cream works effectively and prevents the skin?s signs of aging. ? Its formula contains sweet almond oil and a vitamin E derivative known for their moisturizing properties. Apply twice a day to the areas to be treated by massaging in a circular fashion until completely absorbed. To be used as a complement to a balanced lifestyle.